St. Augustine- the Bishop of Hippo (354-430 CE), once observed that the non-Christian Romans blamed the abandonment of the worship of ancient Roman gods and the ascendance of Christianity for this calamity. Against their indictment of Christianity, Saint Augustine pointed out: “Rome had already been destroyed twice in the past when the Roman gods were actively worshipped so Christianity could not be responsible for the sack of Rome.” So Chris Joe Quaicoe  could not have captured Hon. Agyarko with this headline: “National Sanitation Day Was A “Useless” Declaration”. “…It is unnecessary for government to set aside a day for sanitation. The fact that it has been declared shows that we failed somewhere.” Yes, we have failed because the OmanGhana continues to starve its Schools of Hygiene. Professor Nfobin submitted at the time that the sorry state of Cameroonian townships and villages was simply one of the expressions of this “withdrawal” of the state and that in a leading report in the Paris-based magazine- Jeune Afrique Economie, Gilbert Tchoumba who entitles it Le scandale Douala (Douala the scandal), painted what was described as a stupefying portrait of the economic capital, Douala – disgracefully unmaintained roads, poor disposal of sewage, poor drainage, random disposal of household and industrial waste, widespread littering and excretal pollution etc. “An incumbent mayor is quoted to have likened the city to a war zone. He remarks that the same evidence of neglect is perceptible in the country’s other leading cities and warns of the possibility of outbreak of epidemics. The State earlier resorted to the privatisation of the basic services where this was possible. It equally gave its blessing to communal initiative where there need was immediate and the citizenry ready to act.” In the words of Prof Nfobin, the legal basis for this is sections 362-R370 of the Cameroon penal code. Although Ghana’s measure cannot be described as forced labour due to its current necessities and patronage, the definition of forced labour ought to be considered in passing. According to Britannica.com , forced labour, also called Slave Labour, is a labour performed involuntarily and under duress, usually by relatively large groups of people. It is differentiated from slavery in that it involves not the ownership of one person by another but rather merely the forced exploitation of that person’s labour. The ILO Conventions of 1930 and 1957 outlaw resort to it. The 1930 convention N°9, defined forced or compulsory labour as “all work or service which is exacted from any person under the menace of any penalty and for which the said person has not offered himself voluntarily”. It excluded however, “minor communal services” and work in the case of force majeure. “Force majeure” relates to work exacted “in the event of war or of a calamity or threatened calamity, such as fire, flood, famine, earthquake, violent epidemic or epizootic diseases, invasion by animal, insect or vegetable pests and in general any circumstances that would endanger the existence or well-being of the whole or part of the population”. We are yet to have the opportunity to reading the policy guidelines so we might not be sounding derailing or inconsistent with the International Labour Organisation’s adopted resolution. But consider yourself, for example, as a factory worker with the Komenda or Asutuare Sugar Factory returning from a night shift only to have the first Saturday in the month starring at your yawning face. What to do with your community, if, you were to be bereaved on the said national sanitation day? In the UK  the law relating to forced labour is absolute. But it does not apply to work that you have to do as part of a prison sentence or a community sentence. Nor does it apply to work the government requires you to do in a state of emergency. It does not for example; also cover normal civic obligations such as maintaining a building if you are a landlord or deducting taxes from your employees’ wages if you are an employer. As a Ghanaian or a settled foreign tradesperson or professional- auto-mechanic, hairdresser, mason, carpenter, a nurse, private health practitioner, a lawyer or a “religious activist” working from home, what economic benefit could you make out from example, some 14 million people working for a minimum wage of say Gh6.00 per hour (2014) over three hours in every first Saturday in a month and over how many years? The some 14 million is taken from the 2012 Electoral Commission’s eligible registered voters’ register and if we were to be accurate the total amount for communal labour under consideration could be worked as follows: 3 hours volunteering cleaning, multiply by Gh6.00 (basic wage) x the 14 million Saturday volunteers, assuming that everybody shall participate, equals: Gh252 million (two hundred and fifty-two million Cedis- thus, 3hrs x Gh6.00 x 14million eligible voters). No empirical research had been made to ascertain the economic [in]efficacy this measure might be to, for example, thousands of seamstresses, tro-tro/taxi drivers and of course, those on high street businesses. Thus community labour is not a Ghana’s flagship. In Nigeria it is/was called Sanitation Day. 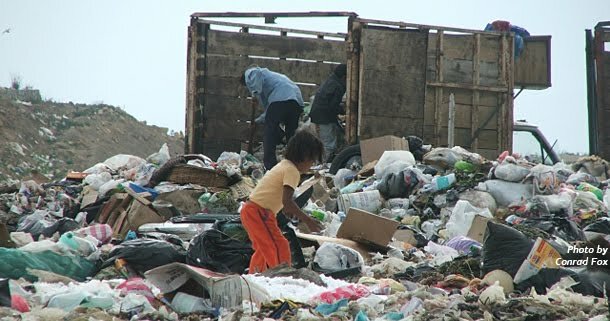 “It used to be Cleaning Day in Sierra Leone and Community Labour in Liberia just to limit ourselves to these few. In France, the law of 3 March 1822 and the decree of 4 January 1896 empower sanitation officials to requisition citizens in an emergency.” In Cameroon, Prof Nfobin doubts the legality of the practice. “A volunteer has no status in law and that if the state encourages… [it], the aim of it all is to save our meager public funds. So can Ghana escape the legal pitfalls on the subject? “While we do not have any records of claims related to communal labour and brought before the courts, French case-law suggests citizens involved in it may be treated as administrative volunteers (les collaborateurs bénévoles del’administration) (1) or (2) labour conscripts (les requis). 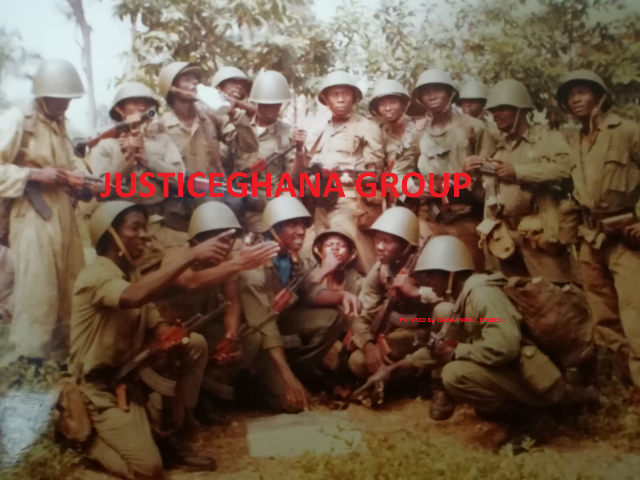 A volunteer in military law is one who freely and voluntarily offers himself for service in the army or navy as distinguished from one who is compelled to serve by draft or conscription, and also from one entered by enlistment in the standing army.” So JusticeGhana might be right to interrogate the legal efficacy of Ghana’s Sanitation Day? In law; as far as employment relationship is concerned, there are differences of status of independent contractor and an employee. So as a privately or self-employed person responsible for your future pension, what if; you were to sustain personal injury or to be incapacitated in the course of any of the state’s directed communal labours? This could be yes, some of the legal hurdles that our slow-and-overbearing rubber-stamping Parliament is considering. So, we advocate for the exploitation of Art 210(2)(3) of the Constitution to create sanitation units/brigades within our exiting armed forces if but for excavators and cranes, our hoes and brooms could not guarantee us ecological and environmental justice?